Most business teams work at about 32% efficiency, according to research by Gallup, Deloitte et al. It’s not because they’re lazy, it’s because people are often given tasks they’re not naturally good at. Then they’re asked to work with other people who are doing tasks they’re not naturally good at. Suddenly you have a dysfunctional team. OND is changing this by creating a HERE to THERE vision. We’re working with companies to build functional teams – teams that work – across the enterprise in only 90 days. 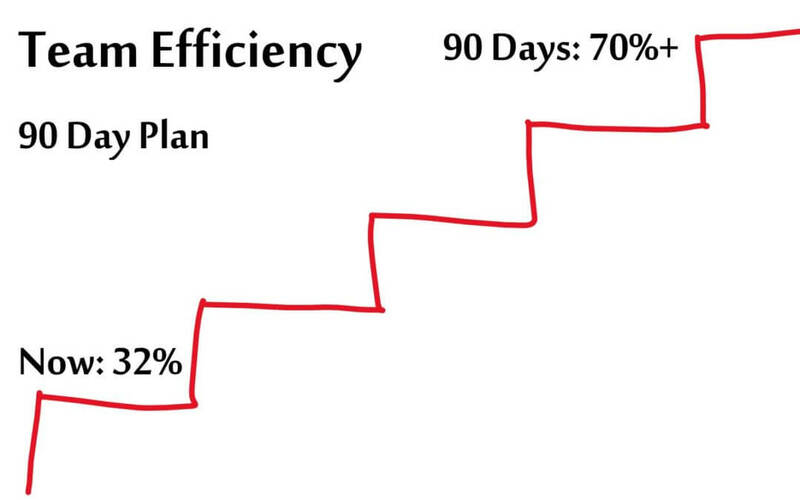 We start by using an elegant method to rapidly establish your team’s baseline efficiency. Then we use our Method Teaming tools to highlight what your team members are good at and what you shouldn’t ask them to do even if the sky is falling in. Now you’ll see why they weren’t living up to your expectations of them. We work with you over several weeks to build the work around your people, not your people around the work. Finally we measure team efficiency again and show you the results. We know you’ll be thrilled. Not only are you more efficient, but you’re getting through your work faster and with a higher degree of quality. That means you won’t need to hire more people as your workload grows. To get started click Contact Us at right.